2019 Feast | Crowlas & Ludgvan W.I. 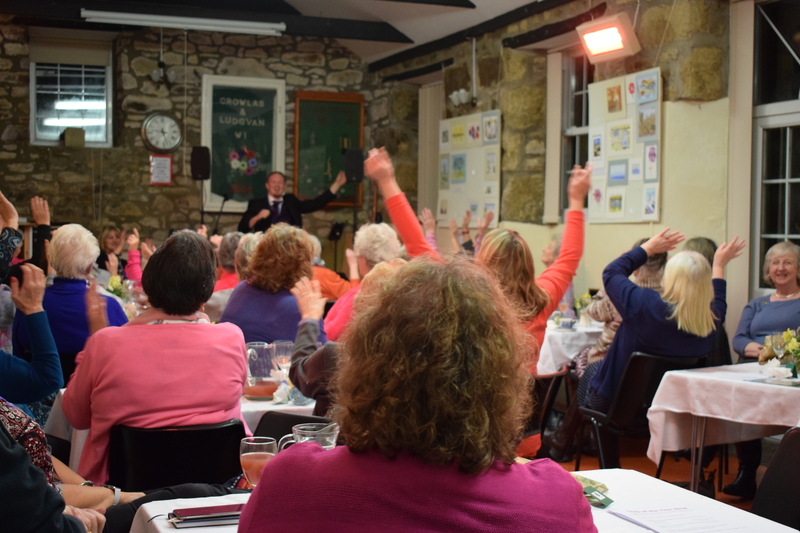 The Murley Hall came alive on Monday with over 50 ladies enjoying each other’s company, delicious food and great entertainment. 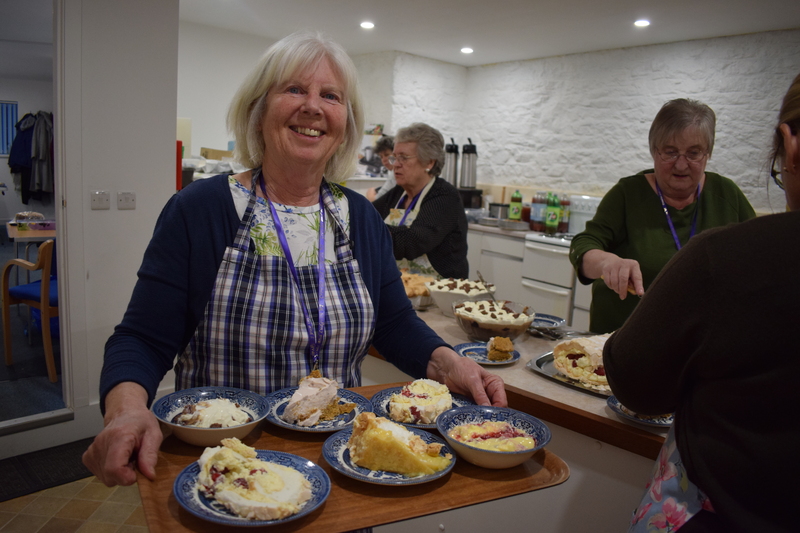 The hall was laid out with linen bedecked tables, pretty early spring floral arrangements and menus, from which the committee served a fine selection of stews and casseroles to members and guests, followed by an array of delightful desserts, tea, coffee and mints. With a tricky quiz of 2018, a left / right game that got everyone laughing and songs and tales of life on a cruise ship from Entertainer Stuart Gotch, the evening was filled with fun, food and friendship. The finale of a rousing rendition of Queen’s ‘We Will Rock You’ had members singing along, arms aloft. Many thanks to all those who put in so much effort to start 2019 in such style.